Kate has enjoyed playing with clay for many years and is a member of the Mudslingers and Bear Flat Artists. She shows locally at markets and Exhibitions and Art Fairs in and around Bath. Her work has been taken all over the world. Raku is an exciting and unpredictable process involving fire, smoke and water. It produces the most beautiful green and copper pots with a black crackle finish, and elegant white and black crackle pots. 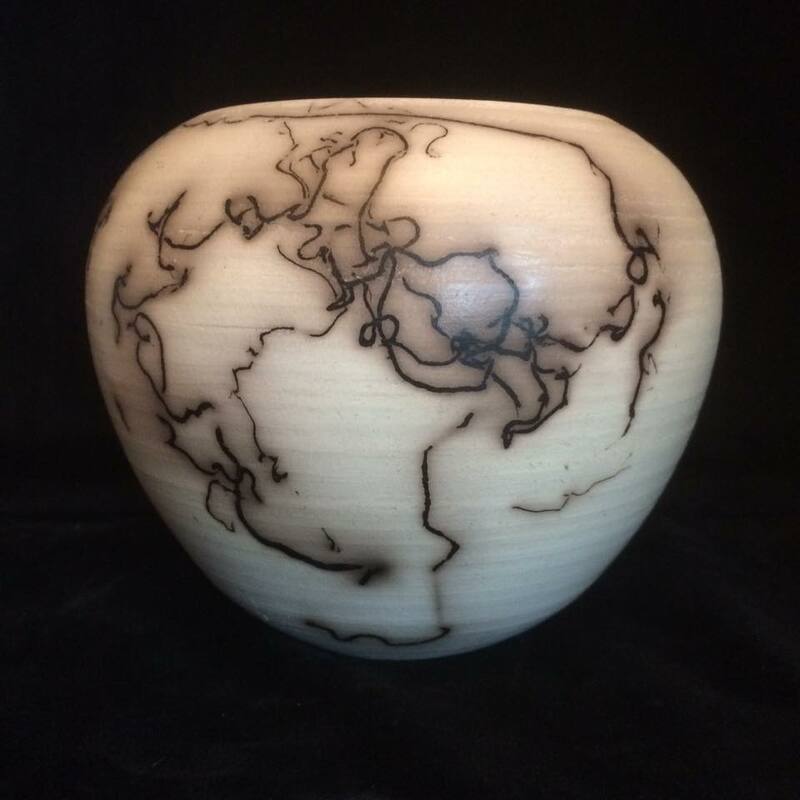 Kate also uses horsehair, seaglass and driftwood to create unique and beautiful raku ceramics. 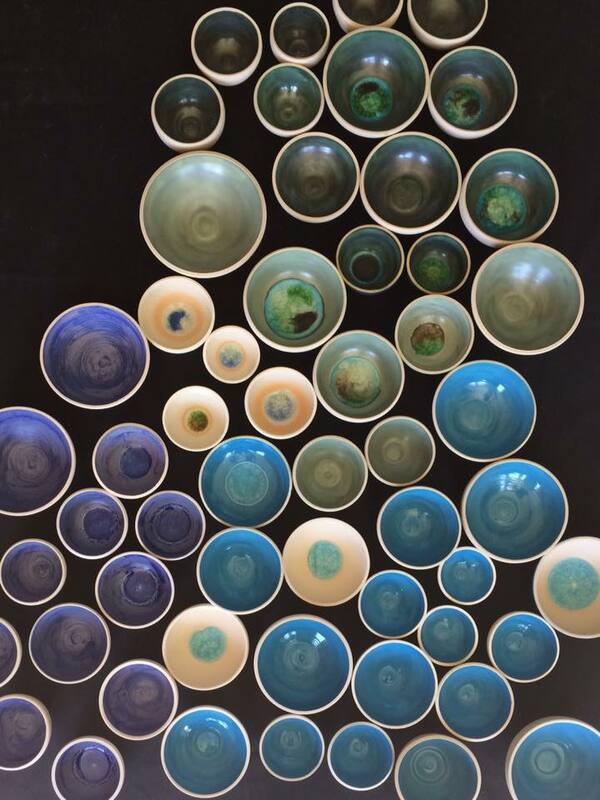 Kate also works in stoneware, producing unique pots that can be used in the oven and in the dishwasher. This year Kate will be adding a selection of unique raku clocks to her collection. There will be raku and horsehair demonstrations in the garden, weather permitting, and throwing demonstrations in the studio. Phone for details.